Beards play a huge role in a man’s life, and by extension, a woman’s also. Since women appreciate beards peripherally, it shall be spoken of first for expediency. Then the most important aspects will be addressed. 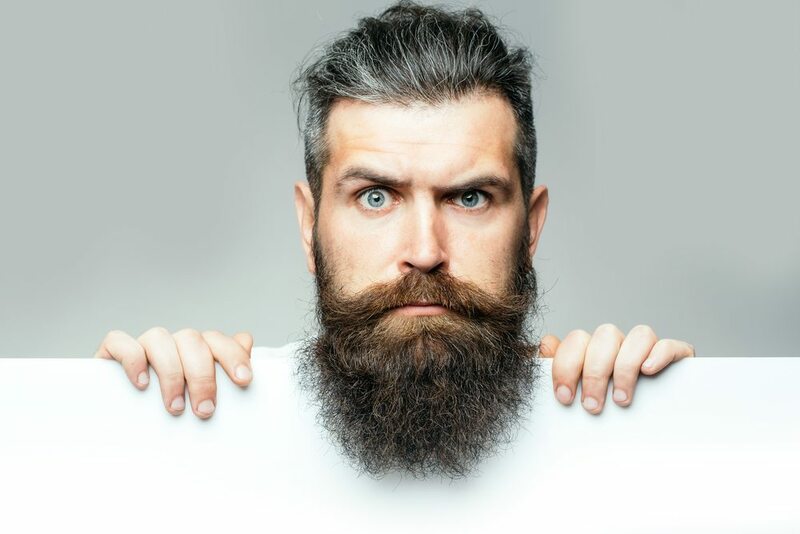 Women appreciate beards most often because of its effect on a desired man’s face, but very seldom because they can grow one themselves – most often during menopause. Now on to the good stuff. Beards have multiple roles in a man’s life. As to which role a man highlights in his conversations, it is entirely up to him, but a beard contributes immensely and in many ways to his life. Among these roles are the physical and social (religious, legal, statistic, and artistic ends). Physical role: Though often spoken of in jest, the physical role of a beard is no laughing matter…sorta. Though the most commonly speculated aspect of this role is insulation in the winter time, the beard is more than that; facial temperature regulator. Not only does it insulate, but it also shades the face while allowing for a breeze to pass through its hairs. For those men who are outdoors men, such as lumberjacks, hunters, campers, etc., it doubles as a facial mosquito net. The physical drawback, though, is that food particles such as crumbs and drippings are caught in an ill-maintained beard. Social role: The social role of a beard is often tied to the mainstream culture, and is often exemplified in stereotypes. Historically, one can see the variety of traditions from which our modern American culture derives the variety of styles (and the nomenclature of the stereotypes). In America, it signified dignity and wisdom, as it was attained with age and very seldom trimmed. Rome associated it with laziness and (as does our military), lack of hygiene. The Nazarite Vow often referred to uncut hair, which is often understood to be of the scalp but was taken only by men. Also, as Paul spoke of hair being long on women and short on men, it would make no sense for a man of his kind to let his hair cover his head. Among the Egyptians, the beard was often styled and was more a fashion and expression than it was of anything having to do with status. As for the ancient German and Celtic peoples, one was not allowed to shave one’s beard until one had slain an enemy. The Greeks though of a beard as a manly thing, and not to have one was to be unmanly. A largely unnoticed sector of American populations are the Amish, who use beards to distinguish married men from unmarried boys. And last but not least – the legal aspect: As is often stereotyped, the criminal is often the one with a beard. Also of legal interest is that of evasion through disguise, in which a beard is often grown, trimmed, and shaved in order to change appearance. Celebrations: As of late, the autumn is the season of the beard. Already Octo-beard and No-Shave-November have been set aside as the celebratory initiation months, while the ending of the celebrations still seems to be up for grabs; often determined by the individual’s own ability and perseverance. As far as an actual event, Macho Beard Growing Month (MaBeGroMo) has been established in reaction to NaNoWriMo (National Novel Writing Month) – for some individuals, it was simply established with NaNoWriMo as a template for the occasion; for others, it was out of disgust of NaNoWriMo’s incessant stench of a fad. (Dyer). Canon list of Styles: A list of styles has been increasingly developed and expressed in Jon Dyer’s The Beard Page. This list includes 33 styles. (Conspiracy theorists might associate this with the correlating 33 degrees’ of Freemasonry secretive language and enigmatic symbols – though I know not how). Rather than explain or dictate how each one is to be thought of, I wish the reader to speculate and investigate the history behind the most appealing beards. Maintenance: There are only two simple rules to consider when trimming: one is that although it takes time, one can always grow a beard larger; the second is that one should trim carefully, as one can trim down only so far. For trimming and styling, one should be sure to have the four essentials: a hair trimmer, a detail trimmer, a fine-toothed comb, and a good mirror that allows the man to effortlessly look at the beard from many angles. Keep in mind that neatly trimmed edges inherently have more aesthetic value to a majority of people. Topical application does nothing. As for treatment, do nothing other than trimming, occasional brushing, oiling and shampooing your beard. Foreign substances and excessive heat damage hair – do not dye or blow dry your beard. Last but not least, hair loss is tied to other issues, such as age, health conditions, and stress. Your beard says a lot about you. It speaks of general intelligence and hygiene by how often and well it is maintained. It speaks of your character and interest in the style you give to it. By extension, it helps to determine how one relates to society as a whole, as well as one’s friends and potential mates.